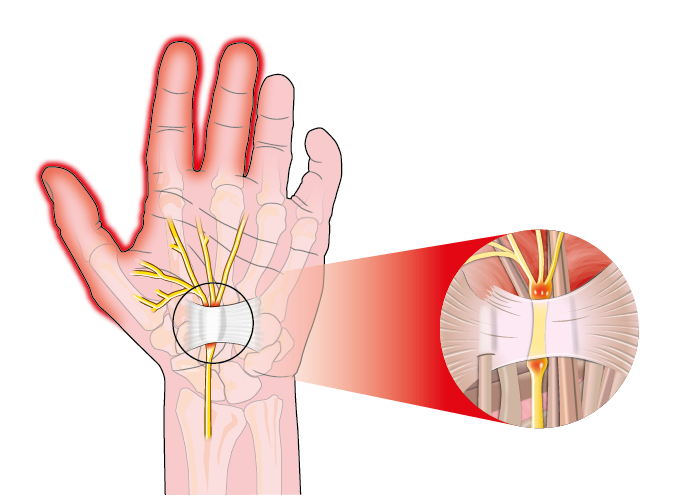 Carpal Tunnel Syndrome is a challenge that is cropping up more and more frequently. Conventional remedial treatments are fine and can be examples of compassion in action, but Western style physical therapeutic and orthopedic approaches are limited in just how much compassionate relief they are able to deliver. This is because the conventional Western therapeutic model for treatment is not holistically based. A more compassionate approach is a protocol which leads to fundamental understanding and renders the application of remedial therapies unnecessary! 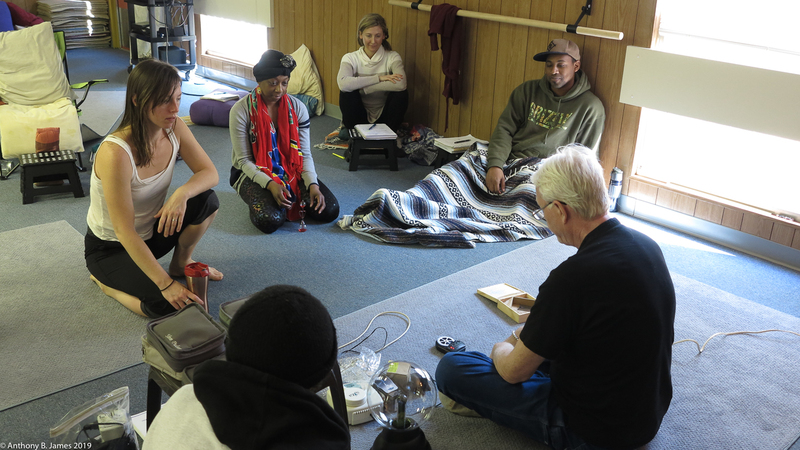 This approach is entirely holistic (Naturopathic and Religious Therapeutic). The origin of the Median Nerve or Nerve Medianus are the internal and external cords of the brachial plexus. It is a motor and a sensory nerve. Its function is to enervate the pronators and flexors of the forearm, two external lumbricales, thenar muscles of the thumb, skin of the palm and the first four fingers. Considered a syndrome, the generally accepted cause is fatigue injury and concomitant secondary trauma derived from over-use. This would also generally classify CTS (Carpal Tunnel Syndrome) as an RSS or Repetitive Stress Syndrome type of injury. In most of the cases that I have seen, the cause was simple and easy to determine and verify. Clients were performing menial, repetitive tasks which primarily focused workload, pressure and or impact on the thumb, fingers and wrist. They were pushing with the thumb, pressing or tapping with the fingers, grasping, squeezing and twisting with the hand, or combinations of the above. In some cases they were doing all of the above. The kinds of situations which can produce this kind of working stress are quite varied and diverse; typing or working on computers including extensive mouse work or pick and place tasking on a manufacturing line. Virtually any repetitive work involving the fingers and hands done over a period of time can lead to this type of break down. The more narrow the parameters of the particular stress the more likely the stress is to lead to the development of the syndrome. It has been noted for instance that the simple act of typing on a keyboard transfers thousands of individual impacts which send minute shock waves to the wrist and forearm. It is the combination of these little shock waves and the narrow range of motion one must maintain in order to type efficiently that eventually leads to breakdown and deterioration. CTS is turning up more frequently among Western style therapists and even oriental style therapists who use a few narrowly defined techniques for every client, over and over again. Especially susceptible are those who squeeze and twist the fingers and wrist while exerting pressure on or with the thumbs. This does not necessarily mean that the techniques themselves are bad, although some are. Rather, repetitively performing these narrowly focused techniques with an ever-diminishing range of motion is bad. 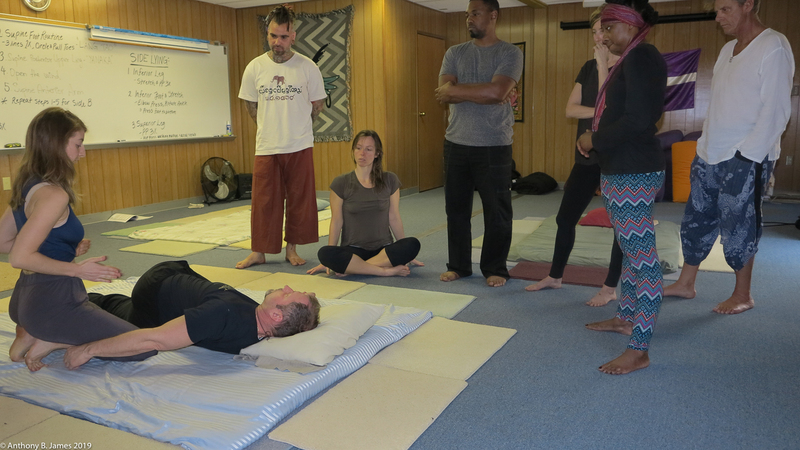 In a sense, this is inevitable for these therapists because as they gain experience in these methods, they will tend to become more efficient in the application of the few techniques they are using and the one or two body parts that they are using. 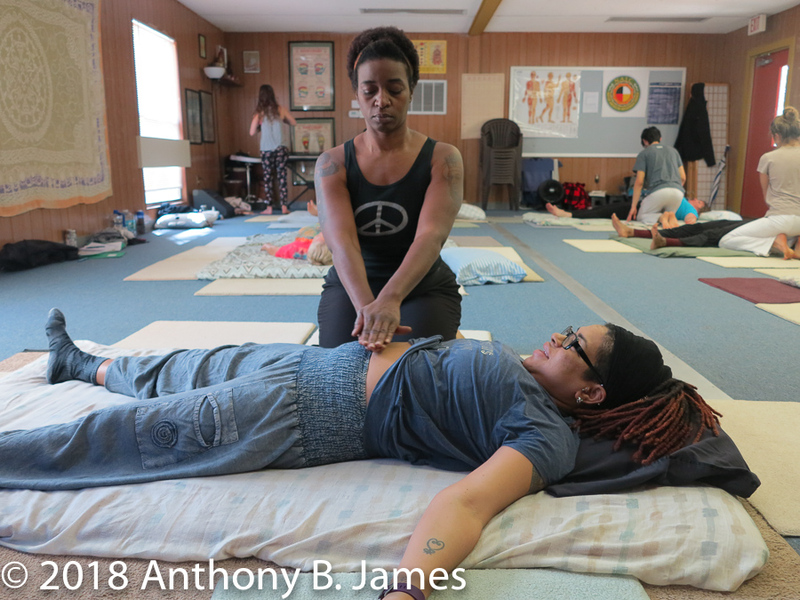 I have personally interviewed massage therapists whose total pharmacopoeia of therapeutic “hand” tools was based on no more than five different positions of the hand, and was limited to only using the hands to apply pressure! There are even schools that teach that the only part of a therapist’s body which may touch the client is their hands and that it is somehow improper or immoral to use another part of the body! 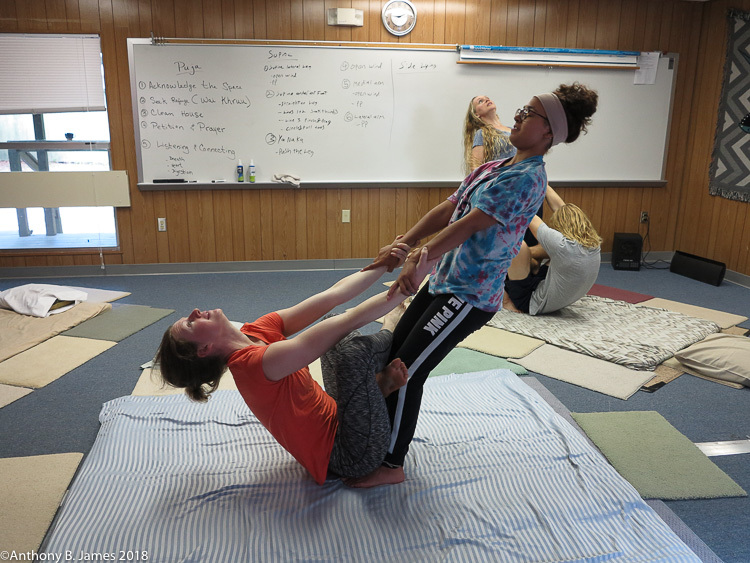 As a SomaVeda® Thai Yoga stylist you may laugh, but this is no laughing matter. Therapists trained in this simple way of using just a few techniques for everything are bound to breakdown sooner or later as the cumulative stress of releasing tens of thousands of individual points and squeezing tons of flesh and muscle with just the hands and fingers begins to take its toll. Working conditions further exacerbate the problem, such as the Western practice of exclusively working on or around a massage table. Although there are operations and applications that seem to be well suited to a massage table, by and large the table by design engenders poor body mechanics. 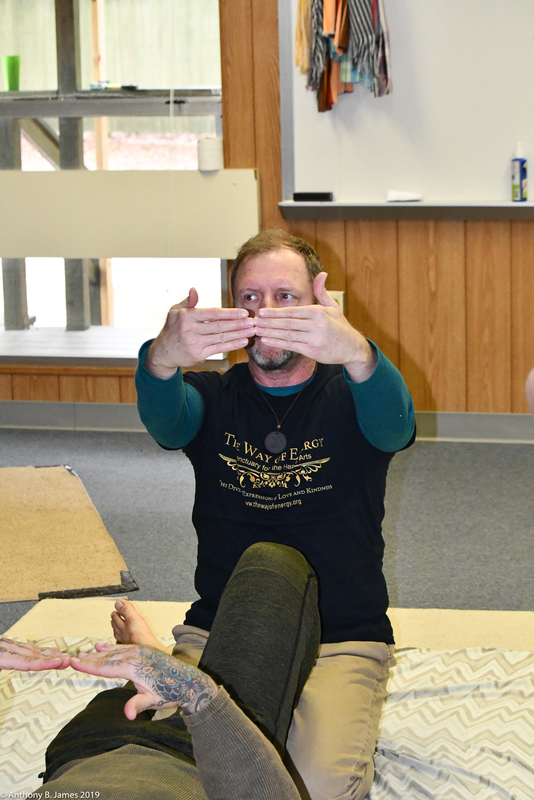 The table simply holds the body of the therapist out and away from the area they are working on. Some schools and state licensing boards even prevent the therapist from leaning on the table for support! Why is this? The fundamental idea upon which proper body mechanics is based on is that the closer your center of gravity is to the point or area you are applying pressure to, the less muscular effort it takes and the more efficient the application of pressure becomes. A concrete example that we use in class is in standing. When you are simply standing you are maximizing the application of pressure under your feet with little or no stress to the rest of your body. Depending on how much you weigh, you could be exerting one or more than one hundred pounds of pressure on the surface of your feet to the surface under your feet with zero effort, no more effort than if you were just standing. As the point or surface you wish to press on moves away from your center of gravity you become less efficient and strain more. This straining is your attempt to create a compensation for being off center through muscular contraction. It is possible to do this but it costs dearly. It costs in the actual amount of energy that you expend as you work and it costs in the wear and tear, stress and deterioration of your own body/mind/spirit. We work off center because we are off center. Strain and the resultant suffering from strain seem like normal and acceptable consequences of making our way in life. However, this is not true! When we are established in our center and work from our center, we are balanced in everything that we do. When we work from a place of balance there is less effort required, with few or no detrimental consequences from this kind of effort. In fact, this kind of effort actually increases your capacity to do more. Using the massage table is also part of the SomaVeda® Thai Yoga repertoire! 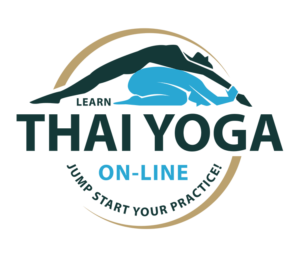 Doing Thai Yoga and Thai Massage has always been a very important part of traditional Thai Medical Massage applications, especially in Thai Hospitals. There are approximately one hundred seventy Thai VA or veteran’s hospitals run by the Royal Ministry of Health. All of them have a wing or floor exclusively devoted to Thai Traditional Medicine and all of them use tables and raised platforms to do their work. 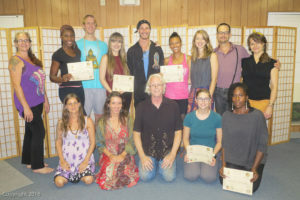 The difference between the Thai Table applications and methods is the variety of techniques and the dramatic differences in body mechanics used in Thai Style Yoga therapy. So, please do not misunderstand when I speak of the harmful effects caused by working on a massage table because I am referring only to Western types of massage or massage therapy techniques on the table. This is another reason why the integrated holistic approach of the SomaVeda® Thai Yoga Massage way is so brilliant. 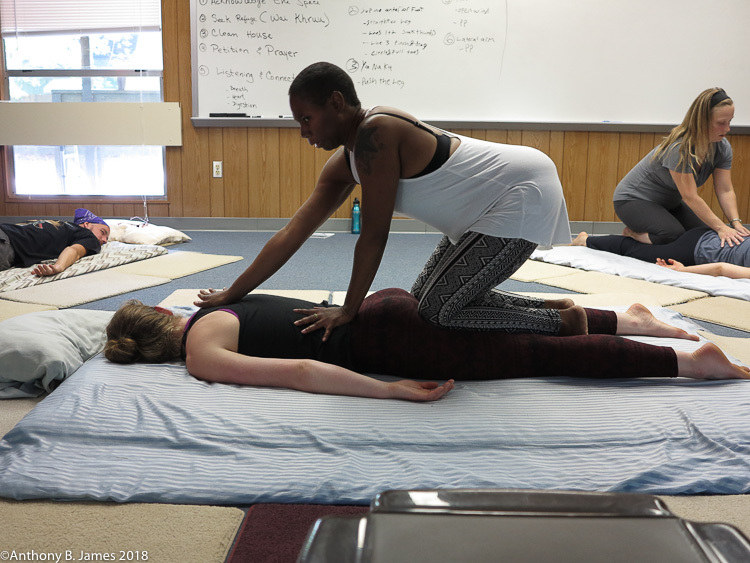 When we say, “we use the whole person to treat the whole person,” we are also saying that we use the whole body as the instrument with which we apply pressure and energy to the body of our client! As the workload is more evenly distributed with dozens of different tools and as we switch from tool to tool, such as from hand pressure to foot pressure, there is little opportunity for a repetitive stress disability to occur. The bottom line is that therapists trained in limited and conventional Western protocols do not know what the prognosis is for their practice longevity. 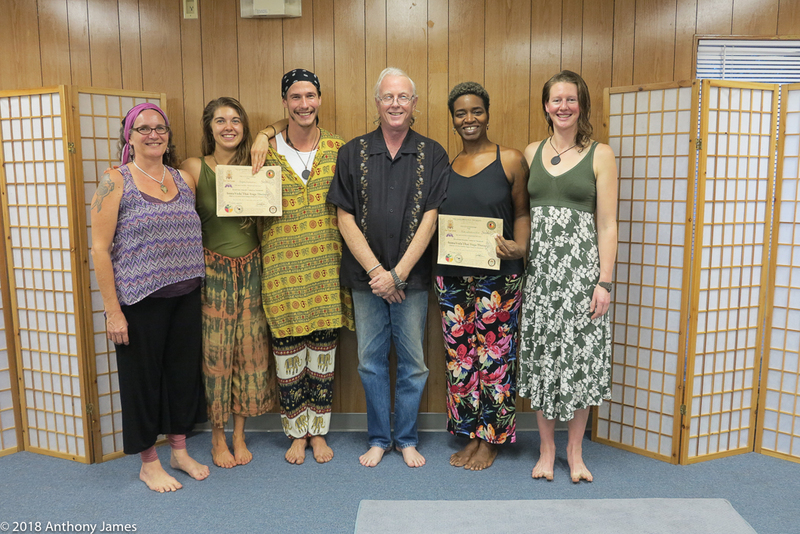 On the other hand, the specific TAO or WAY of working we share as SomaVeda® Thai Style Yoga therapists has already been refined and perfected over many, many years. 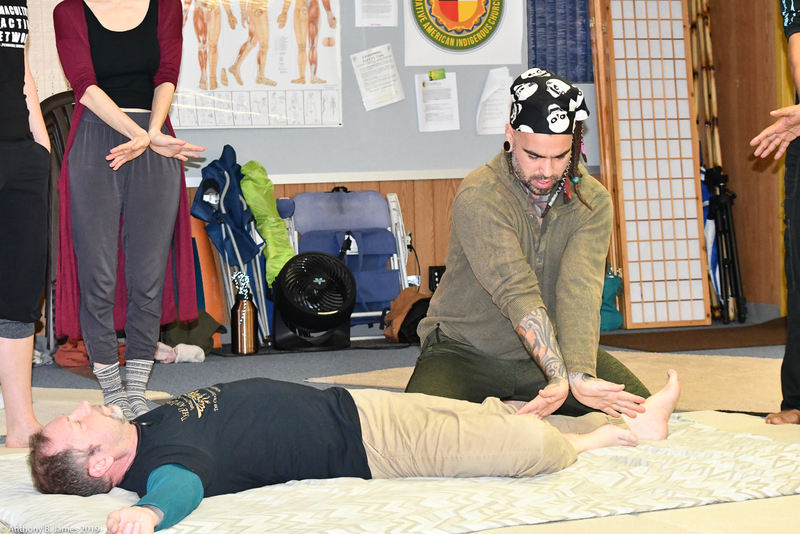 CTS and RSS syndromes may become the leading cause of disability among working massage, massage therapists, physical therapists, body work therapists etc. in the not so distant future. Already many therapists and professional body workers that I meet in trainings and workshops suffer from the precursors of wrist, hand and arm pain in one or both hands. Not all persons stressed in the same manner will develop CTS, but there are mediating factors which could determine predisposition such as age, heredity, physical conditioning including functional range of motion, diet/nutrition (i.e. any specific deficiency), pre-existing trauma, injury, or scarring resulting from injury. Additional mediating factors in susceptibility to not only CTS but any degradation of health, function and longevity are nutritional, emotional, mental and energetic. 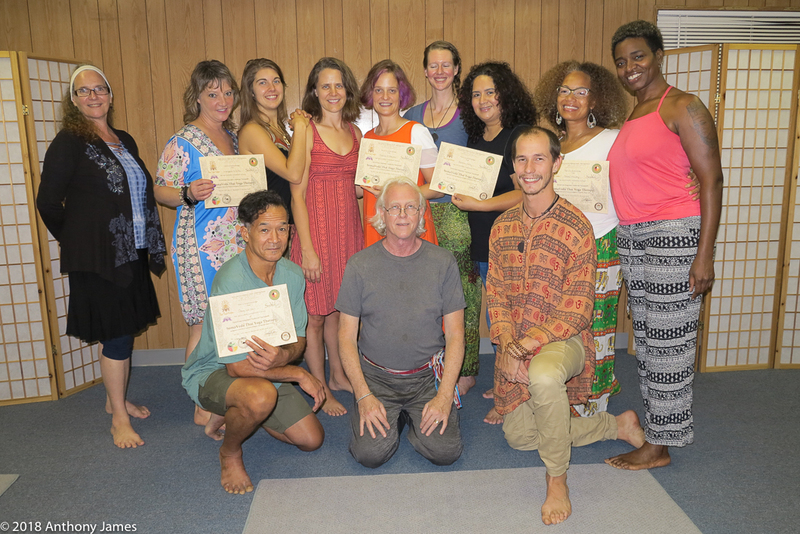 Energetically we must also consider the balance of and between the major Chakras and the representation of their homeodynamic status or balance in the physical, psychological and emotional states. For example, if one performs the very same menial task in a “good place” versus in an “angry place,” one is more likely to hurt them selves in the latter. The SomaVeda® treatment protocol is basically always the same. The treatment itself may be broken down into three distinct phases or categories. INNER, OUTER, & SECRET. The Inner deals with the innate energetic, pranic, and Chakra correlations and considerations found in the matrix body. For those of you not familiar with the terminology, the matrix body is your total energetic body including all of the chakras, lom (Wind Gates), all of the Sen or Prana Nadis, meridians, elements, extraordinary vessels and acupuncture points which make up the luminous body. 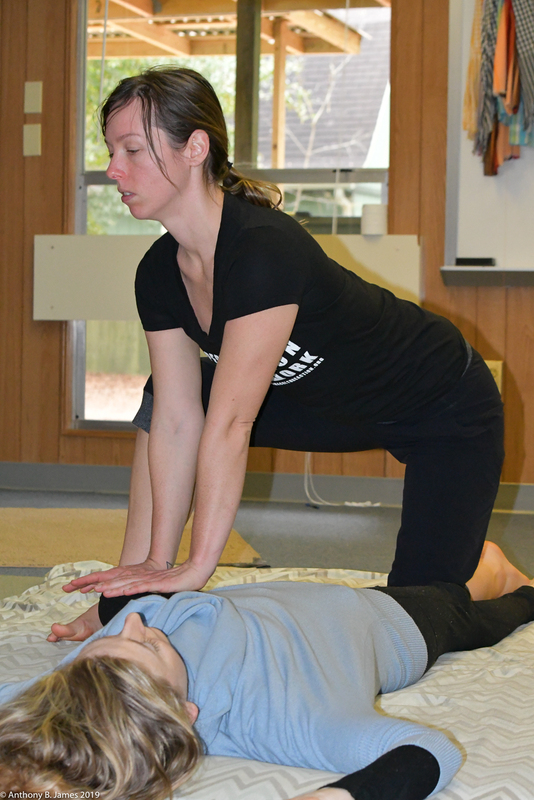 Treatment of the Inner may or may not be performed hands on or with Asanas. 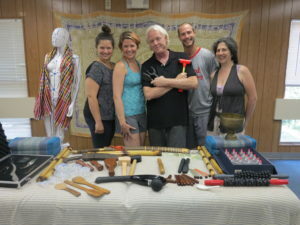 It may also utilize Puja, prayer, affirmation and focused intention with visualization or meditation techniques and guided breathing or Prana Yama. The focus of the Inner is to create or stimulate a movement toward balance between the various energetic parts of us. 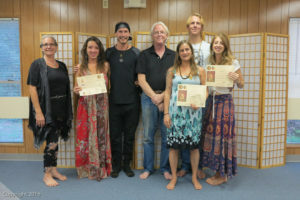 This state is evidenced by the free and unrestricted flow of energy or prana. The Inner is also related to the healing mind and innate wisdom of balance which operates in every cell and which is the true overseer of healing processes in the body/mind/spirit. When we place our hand on the client and ask permission and direction to treat, this is the “who” or “what” we are communicating with. Because the inner deals with the energy body and disruptions within the energy system, then we also consider here the role of pathological emotional and mental states. In SomaVeda® we teach that the cause of all negative emotions is a disruption in the body’s energy system. Examples of negative emotions are fears, phobias, compulsions, neurosis, anxieties and the like which are unreasonable and or irrational. The Outer addresses the symptomatic and observable physiologic/pathological considerations in the tangible physical body (TPB). 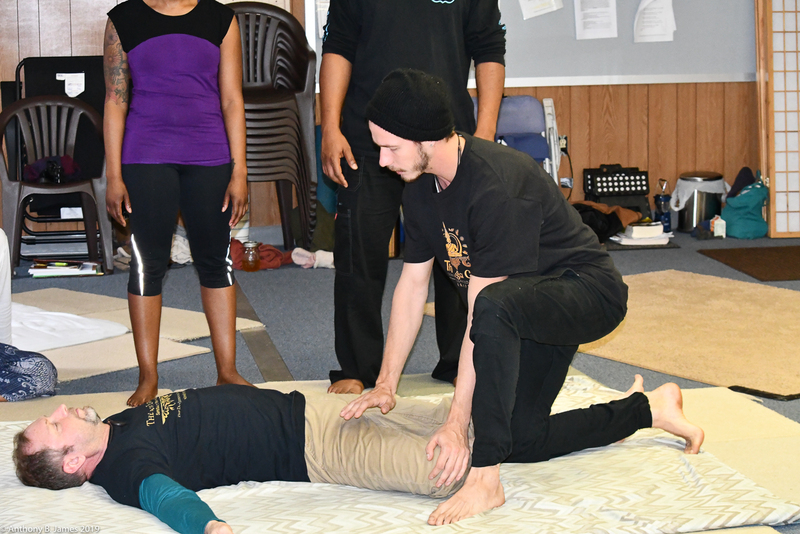 This usually involves hands on application of pressure to the body by holding specific points and applying therapeutic Asanas or postures. The focus of the Outer is the same as in the Inner except that we are looking for homeodynamic stasis or a balanced and harmonious state between the physical being and all of its parts. This may look like a reduction in obvious trauma and sensitivity as well as an increase in all circulation, a reduction in number and intensity of active and latent trigger points with a corresponding increase in mobility and range of motion. Results may also include reduced edema and swelling, lower residuals of metabolic waste and by products of the trauma along with a reduction in atrophy, scar tissue and further reduction in the pathological production of scar tissue and less pain. 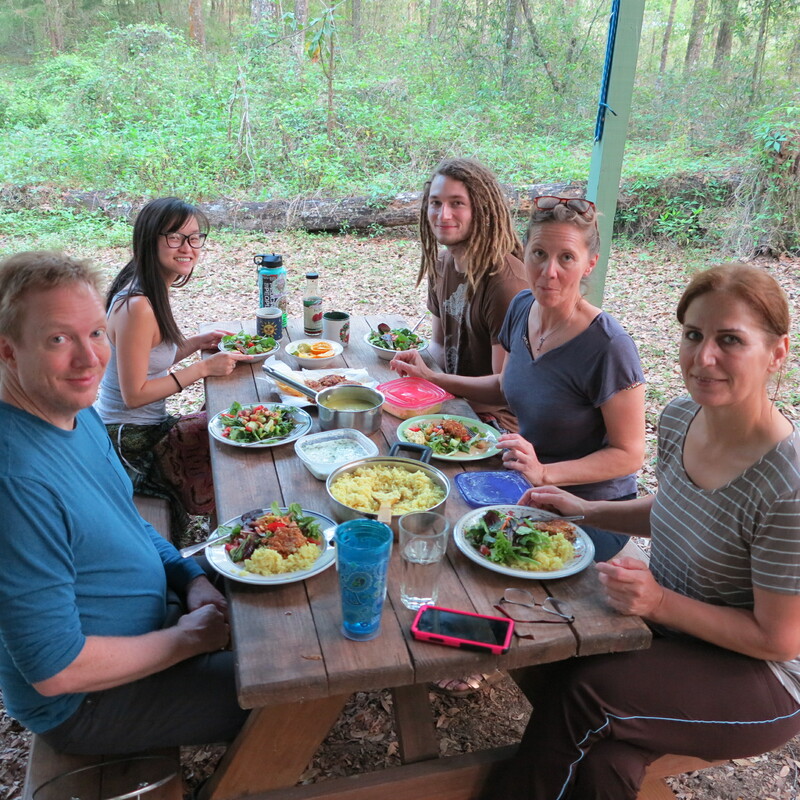 In short, a movement toward optimum health and return to function. The Secret approaches the spiritual or metaphysical aspects of this challenge to one’s harmony and equilibrium in the context of one’s whole life and person. Please note: The mentioned distinctions of energetic and physical self are arbitrary to help in your understanding. In reality, all such distinctions are illusion and can be limiting. 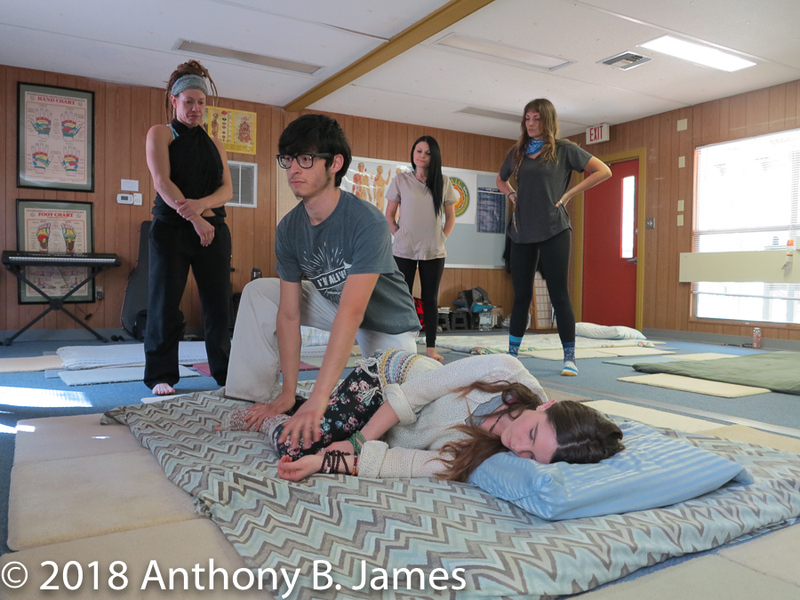 In actual treatment the more advanced practitioner addresses the Inner, Outer and Secret simultaneously without preference for one over the other. In Part 2 of this article I will break down treatment approaches and strategies for each of the Inner, Outer and Secret elements of the disorder. For more information on educational materials by this author see the bookstore at ( www.BeardedMedia.Com ) If you think your friends would benefit from this information please have them subscribe to our newsletter! 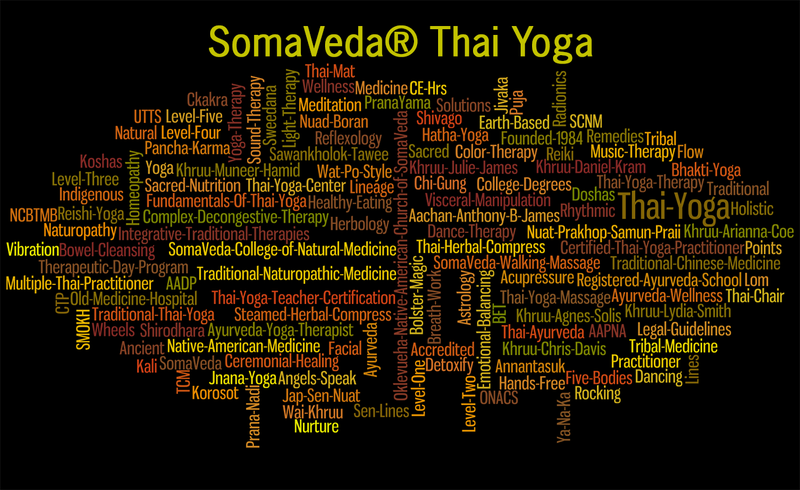 For SomaVeda Thai Yoga Articles Main Page Click Here!